I was in the middle of writing a long blog post, but I suddenly erased it. It was full of medical details and information, and it made me think of this post that WarmSocks over at ∞ itis wrote. I think it’s great to share medical details on our blogs – this is how we learn things and support each other. But today, for this topic, getting into the nitty-gritty is really a defense mechanism for me, a way to avoid talking about what I really need to talk about. My husband and I have decided that we really want another baby. The post I deleted got into all sorts of complicated medical reasons why this may not be the best idea. All of that is interesting, but isn’t the main point. The main point is this: Yesterday we went to see a high-risk OBGYN for a pre-conception consultation, and came away from the meeting feeling optimistic and hopeful. We asked him to give us an honest, straightforward assessment of our risks and challenges, and he surprised us by saying that he thinks that our chances of a healthy pregnancy are excellent. Even better, he made immediate plans to consult with my endocrinologist and rheumatologist to form a plan for my care that will make everyone comfortable. So unless things change, we are going to try. We know that we may not succeed, for all of the reasons I outlined in the post I deleted. 🙂 We know going in that it will be high-risk if we do succeed. We also know that life with two children will be more challenging than life with one, especially if my RA or other conditions worsen. But right now, I choose to focus on hope. Was It Just A Remicade Dream? Yesterday, I got to find out how the other half lives. 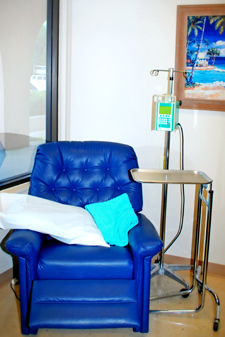 See, my infusions are normally done in my rheumatologist’s office – a nurse comes in on Thursdays to do them. But about two weeks ago, I got a call saying that the nurse wouldn’t be available on my scheduled week, and could I move it a week earlier or later? The other dates, unfortunately, didn’t work for me. I’ve also been pretty unhappy with my infusion experiences, and have been curious about how other people do it. So I asked if there was someplace else I could go, and the medical assistant reluctantly said that I could have it done at the hospital. She did warn me that it would be more expensive, but I thought it would be worthwhile just to see what it was like. And boy, was it different. I am shown to one of the regular examining rooms, which are really tiny, and I sit in a wooden chair very much like the one in the first picture except older and shabbier. 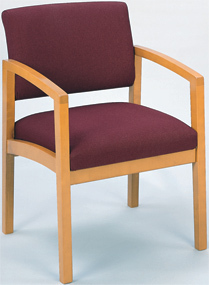 Recently, someone moved the furniture around in the examining rooms, so the chair now sits awkwardly behind the open door, where the door bumps my chair if anyone tries to open it wider. The nurse comes in and starts my IV. Most of the time, he doesn’t take my vitals, and he never asks me any questions. Then he hooks up the Remicade bag and leaves. I generally don’t see him or anyone else again. I sit and read a book or listen to music on my iPod. At a certain point, I feel pain in my arm and look up to see that the IV has run completely dry. So I get up, drag my pole out into the hall, and flag someone down to try to find the nurse. If he’s not in the middle of something (which he usually is), he comes in, flushes the line with saline, and bandages me up. Otherwise I wait awhile, then go back into the hall to repeat my request. Since he has so many infusion patients in one day and also has another job to get to after he’s done, the infusions have been getting faster and faster – they now take less than an hour and a half. I’ve told him before that fast infusions make me feel awful, but he claims that the Remicade drug rep told him that speed isn’t an issue, and that some people just react that way to the drug. (Funny, since I only started reacting badly when he started speeding up – also funny, since other people on the boards say they have the same problem.) After my infusion, I go down to the car where my husband is waiting. I am always depressed and shivering and my hands are icy; my husband has to turn the heat on in the car, even if it’s hot out. I feel like I’ve been hit by a truck. We go home, where I collapse and sleep for hours. Sometimes I wake up the next day still feeling awful. I got to the hospital and went up to the infusion room, which turned out to be on the oncology floor. (I do have to admit that seeing “CANCER CENTER” on the wall when I got out of the elevator did bum me out a bit… the one negative in all of this.) I walked into the room and saw about four or five blue recliners and two other patients, who were there for chemo. The nurse, who was incredibly friendly, weighed me and took my blood pressure and temperature. Then she asked me a whole bunch of questions about how I was feeling and went over my chart. She had a list of my medications which my rheumatologist’s office had faxed over; about half of them were wrong, and she made the appropriate corrections. (Okay, this worries me – time to have a talk with them.) I found an empty recliner, which had a pillow waiting for me and a big table next to it for my things. I told her that my infusions usually take about an hour and a half but that I don’t do well at that speed. She reacted with horror and said that the Remicade guidelines are pretty clear on the importance of going slowly to minimize the chance of infusion reactions – she usually takes about three hours. She started my IV and let me get good and hydrated before hooking up the Remicade bag. At all times, there was at least one nurse in the room, and all of the nurses I saw were friendly and kind. They came right over to each of us several times to ask how we were feeling. They ordered lunch for us from the hospital cafeteria. Several times, they passed out chocolate, and also offered to go get sodas if we wanted them. The recliner was really comfortable. There was a TV, but I didn’t watch it. Instead, I had a great conversation with the 87-year-old cancer patient in the recliner next to mine – we turned out to share a common interest in opera. 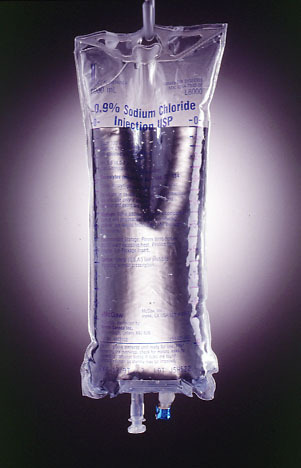 My IV didn’t run dry – the nurse came over before the Remicade bag was completely empty and flushed the line. I never had to go looking for anyone. When I came downstairs and got in the car, my husband remarked on how different I looked. I was warm and happy and felt cared for. (The chocolate zinging through my system didn’t hurt either!) My hands weren’t icy. I went home and felt mildly tired, not exhausted. I didn’t need to nap. Now I don’t know what to do. I love my rheumatologist; he is smart, kind, spends lots of time with me, takes a team approach to my care instead of dictating to me. He seems to know everything – I will come to him with what seems like a vague symptom, and he knows immediately which tests to order. He has come up with some things that seem like they’re completely out of left field, and always turns out to be right. 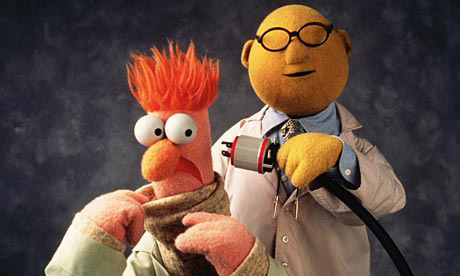 He is, quite simply, the best doctor I’ve ever had. But there are problems with his office, more than just my issues with the infusion process. Twice now, I’ve gone to my infusions expecting my dosage to be raised, and learned that someone forgot to call the insurance to authorize the increase – so I had to stay at the lower dose. The medications listed on my chart are usually wrong – I’ve called to have a prescription filled and found that someone forgot to note my new medication in my chart, resulting in a delay. Medications have also been called in at wrong doses or in wrong amounts. The billing office is more than six months behind – a big problem, since my FSA has deadlines. I was pathetically grateful for the way I was treated at my infusion yesterday – I was ready to get down and kiss the nurses’ feet. I almost felt guilty for getting such good care, as if I somehow don’t deserve it because I am not a cancer patient. I question whether it was worth it, given the difference in cost – am I just being won over by chocolate and kindness? (I don’t know exactly what the cost difference will be – I’ll know when I get the EOB – but our PPO only pays 90% of costs, so it’s bound to be expensive.) My husband points out that we always meet the out-of-pocket max on our insurance anyway, and what does it matter if we meet it a little sooner? My mom points out that infusions are, when you really think about it, a pretty terrible thing to have to go through, and that the least they can do is make the experience as comfortable and pleasant for me as possible. And what’s wrong with a little chocolate? I Don’t Think Anyone’s Ever Called Me A “Sugar Doll” Before! 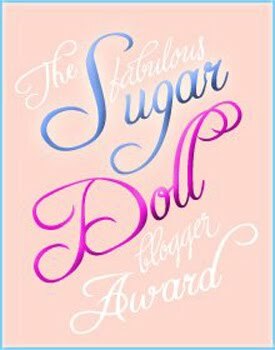 “The Fabulous Sugar Doll Blogger Award” has been making the rounds, and I’ve been nominated! A big thank you to WarmSocks and Wren, whose blogs I love and read regularly. According to the rules of this award, I’m supposed to tell you ten things about me that you don’t know, and then nominate five blogs for the award. I’m going to stick to fun and/or silly things – it seems to fit the spirit of the award! 2. I am OBSESSED with chocolate! I’m going to have a chocolate-themed party for my 40th birthday. 3. I am afraid of balloons! Ridiculous but true. I’m always convinced they’re going to pop and freak me out! Mylar balloons are okay. 5. I have two cats named after opera characters, Marcello and Musetta. Bonus points to anyone who can name the opera without looking it up! 6. Just like Helen at Pens and Needles, when I was a kid, I kept a “spy notebook” and wrote down all kinds of random things I saw people doing. This led to a lifetime “notebook” habit – I still keep one, but now I call it a “journal” – sounds more adult, no? 7. I wrote fiction a LOT when I was younger, and wanted to be an “author” from the moment I knew what the word meant. I somehow drifted out of the habit in my twenties, and am now thinking it’s high time I took it back up again. 10. I get fiercely competitive when I play games. My husband loves games, so we play a lot of them. If I lose, we can’t go to bed until I’ve won a round of SOMETHING. Now for my nominees. This is MUCH harder, since there are so many blogs I love! I’m going to stick to people who don’t yet have the award posted on their blog – but even so, this was a hard choice! For the most part, my illnesses are invisible. I’m not in a wheelchair, I don’t need to walk with a cane except on rare occasions, and I don’t have visible deformities. I’m the type of person who gets dirty looks when I use my disabled parking tag. There have been huge (massive, really) changes in the way I look since my onset, but only people who knew me before would know that. People seeing me for the first time would probably just see a fat woman, unless they’re really familiar with the distinctive look of steroid puffiness. (I find that I can now spot it on other people.) And although it rankles that most people who knew me before probably just think I’ve really let myself go in the past few years, I appreciate the fact that I can choose whether to disclose my illness or not – it’s not obvious. Yes, I know that lots of people wear these – most diabetics have one, and people with things like peanut allergies wear them too. But can I be honest here, and tell you how much this step bothers me? It announces to the world, “Something is wrong with me.” It takes something private and makes it public. It takes away a small piece of my choice – I know that I still don’t have to discuss my illness with anyone, but I can no longer pretend I don’t have one. And yes, most people are pretty unobservant, but I teach piano. I sit right next to students and they look at my hands. There is no way they won’t see this. And I just don’t want to talk about it. I’ve worked hard to keep my health situation private at work, and I plan to keep on doing so. I just feel as if another little piece of my “normal” has fallen away. Yesterday I had a long, long, conversation with my husband (okay, more like a vent TO my husband) about feeling as if there’s a sharp dividing line in my life between the old me (pre-RA) and the new me. My husband and I have been married for three years and four months, and we dated for two years before that. Next week marks the three-year “anniversary” of my diagnosis, and for some reason, this made me realize that we are past the tipping point – he has known me for longer with RA than without it. I wonder if he even remembers me the way I was. (He tells me that he does, and that he still sees so much of the “old me” in me today – isn’t he sweet?) But it really, really bothered me to realize that the dividing line is getting farther and farther behind me, and I feel as if all of my achievements, all of the good things about me, are behind it. I don’t know why, but this bracelet just feels like a symbol of that, a visible daily reminder that I am not who I once was. In one of those weird acts of synchronicity that frequently happen in blog-land, I saw this post from RA Warrior yesterday, AFTER this conversation. And it was comforting. It reminded me that whatever I am feeling, whatever I go through in this crazy funhouse called autoimmune disease, someone else has been there too, and understands. And that may not make it all better, but it sure helps. P.S. – I recently saw a friend that I haven’t seen since the summer, and finally told her about my RA. 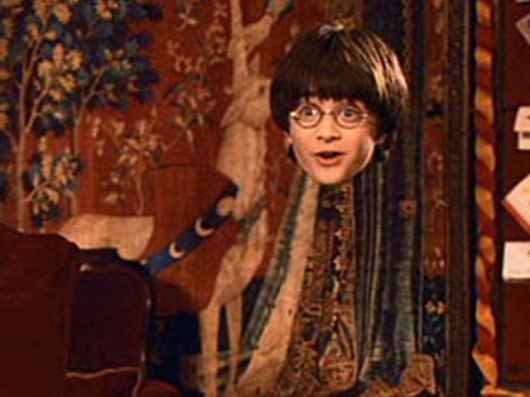 She said, “Yeah, you really looked sick last time I saw you – I wondered what was wrong.” So much for my cloak of invisibility! Oh, there’s just so much I want to say about this subject! I haven’t talked that much about being an RA Mamma, mostly because I wanted to focus on my musician-self when I started this blog. But so much of my RA journey has been entwined with my motherhood journey. I haven’t written my onset story yet – saving it for the time when it feels right – but I was diagnosed with RA the same week I learned that I was pregnant with my son, who is now two years old. So I have been learning how to be a mother and a person with RA at the same time. Unfortunately, I’m going through a difficult low-energy patch these days, and can’t give this subject the attention it truly deserves. So, for now, I’m just going to cut-and-paste in an essay I wrote for a class when my baby was four months old. I don’t mention RA in this essay – partly because I’m very private about it, and partly because I was still struggling with deep denial at that point. There’s a brief allusion to “medical issues” – I’m talking about the RA there, and needing to start RA meds. Anyway, I figure you can read this essay and filter it through the lens of knowing I am a mom with RA. I hope to be able to write more about this soon – it’s a subject close to my heart, especially since I am contemplating having a second child. Even though I had spent almost nine months preparing for the birth of that first person, I don’t think anything could have truly prepared me for the birth of the second. Over the past four months, I have watched myself struggle to integrate my old self, someone I have known for years, with “Mom,” who often surprises me with her thoughts, feelings, and actions. Before I had my baby, I had many ideas in my head about what it meant to be a mother, and about what kind of mother I expected to be. As it turns out, some of these were accurate – I play the piano for my child, laugh and play with him often, and love him as wholeheartedly as I ever expected. Other things, though, have surprised me. At home, I had to stay in bed to recover from the surgery, and I watched, feeling helpless, as my husband and my mother cared for my son. 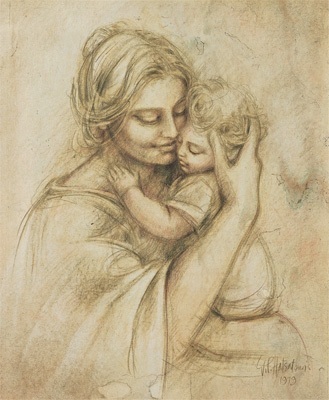 I felt completely useless as a mother and sometimes felt disconnected from the baby in a way that disturbed me. The only job I could really do was breastfeed him, and that wasn’t going well at all. He had developed jaundice and was sleeping all the time and refusing to eat. He lost a lot of weight and his blood tests didn’t look good, so we went back to the hospital a few days later for UV light treatment. My mother and husband both suggested that I stay home, but to me, it was absolutely unthinkable. I think it was that night that I truly became a mother. My husband and I shared a fold-out chair meant for one person, while our baby slept next to us in an incubator under bright purple lights. I cried when I saw the IV needle in his little leg. I was nauseated and weak myself and could barely walk, and I knew that the sensible thing would have been to go home and get the sleep I needed. Instead I stayed all night, rejoicing in the morning when his blood tests came back improved. In the end, we all survived the experience, and that terrible night brought home to me just how much I loved this little stranger, and how much I would sacrifice for him. On a hot July day two summers ago, my now-husband knelt down in front of me, pulled a beautiful diamond ring out of his pocket, and asked me to be his wife “through the perfect and the imperfect.” He said this because he knew that we both suffered from strong perfectionist streaks. Growing up, if I got a 99 on an assignment, I wanted to know where the missing point had gone. Becoming a musician only enhanced this tendency, since so much of our time is spent going over fine details in a practice room, trying to create something of perfect beauty. In an otherwise-good recital, I would find the mistakes and agonize over them. My husband knew this about me, and about himself (although in different ways), and with those simple words, he created a space for me in which I didn’t have to be perfect to be perfectly loved. I am an imperfect mother. Sometimes I do a great job of multitasking, but there are plenty of days when taking care of the baby is all I get done, while housework and schoolwork pile up around me. There are other days when I get the other things done and feel that I have given the baby short shrift. Sometimes I watch too much TV when I am home alone with him. Some days I forget to get his bottles ready ahead of time and have to scramble while he screams for food. Once an old lady scolded me in the mall because my baby wasn’t wearing a sweater or socks. (Okay, so it was eighty degrees out, but still…) I have had people, once someone who wasn’t even a mother, demand to know what is in the bottle I’m feeding my baby, then lecture me about how evil formula is. This one really hurt; I was forced by a medical issue to stop breastfeeding my baby after only three months, and I was completely taken off guard by the depth and intensity of my grief over this loss. (My baby, on the other hand, was fine – happy, healthy, and thriving, he took to the bottle immediately and never seemed to suffer.) When I look in the mirror, I see the extra pounds I have yet to shed, the stretch marks on my untoned belly, the scar from the C-section. I have become one of those annoying moms who takes a million pictures of her child and talks about him constantly. I have temporarily lost whole chunks of my personality and former interests, and have become someone who will talk in great depth and detail about baby poop with my mom, my husband, and anyone else who will listen. Yet amid all of this imperfection, I am deeply, intensely happy. I have watched my husband morph easily and naturally into an amazing, devoted, loving father. I have found a new fierceness in myself when I have advocated for my son’s health care. I have become more proactive and, in spite of being scatterbrained and forgetful, have become more organized in subtle ways. And most important of all, I am slowly learning to let go of my lifelong desire for perfection. Instead, I savor the little joys that come every day. Although I may not do everything (or even most things) perfectly, when my child sees my face, he lights up and smiles a smile of pure delight, and I know that one way or another, I am the perfect mother for him. I’ve been a musician all my life. With the exception of some summer temp jobs when I was in college, I’ve never held a non-music job. It’s not an easy way to make a living, and I worked ridiculously hard for years and years. One summer I worked as a pianist and coach for an opera program, and I played the piano for nine hours a day, seven days a week. I have a small frame, and my body took a beating – tendonitis, repetitive stress injuries, even a long bout of thoracic outlet syndrome. But I kept going. In 2006, I was again working seven days a week, this time at about five or six different jobs, with lots of one-time gigs scattered here and there. I even worked on all the major holidays, since one of my jobs was at a church. Then I developed rheumatoid arthritis. Some other time, I’ll tell the story of exactly what happened. For now, it’s enough to say that it changed everything. Suddenly, working seven days a week was no longer possible. I was waking in the morning to find that yet another finger had gone stiff and swollen overnight. I began stumbling over notes at the piano, having trouble concentrating in rehearsals, becoming cranky with my fellow musicians. 1. Deny that anything was wrong and push through as best I could, relying on shots and steroid pills to get me through my performances. 2. Give up music and find something else to love. 3. Find a way to adapt and keep music in my life. If you have RA, you can guess how well #1 worked. I was surprisingly lucky for a long time – somehow, I managed to get through the performances that were important to me. But I finally had to accept that I needed to slow WAY down. I tried #2 for a little while, during times when I couldn’t work. Sometimes being around music and musicians was so painful that I thought it might be best. Going to the opera made me incredibly sad, and I stopped listening to classical music at home. I didn’t touch the piano when I didn’t have to. But something important inside me wasn’t being fed. So for now, it’s #3. I’m still a working professional musician, but I now teach more than I play, and work only a few hours a week on average. More importantly, I’m spending a lot of time thinking about the nature of music-making, and looking for ways around my physical limitations. I also spend a lot of time thinking about the concept of perfection. Classical piano is a perfectionist art, or at least it was for me – many hours of practice went into polishing a piece of music until it was as nearly perfect as possible. When I made mistakes in public performance, it was a cringeworthy experience. But mistakes are more likely now, and it’s harder for me to play technically difficult classical pieces than it was before. Someday it may be impossible. In the middle of all this struggling, I started writing music of a completely different kind. I guess you could call it popular music – I don’t know what specific category my “sound” falls into, or even if it falls into one at all. It is surprisingly hard for me. Writing music might seem like a natural thing for a trained musician to do, but sometimes all that training, all those ideas about what it means to “compose,” all that perfectionism can really get in the way. But somehow, I’ve come to feel that it’s important for me to do it anyway. I’ve lost a lot of things to RA; now I want to start gaining some things. So this is what this blog is about, at least for now. It’s a place for me to wrestle with my thoughts about RA, about music, about art in general, about my new role as a baby songwriter, about whatever else might come up. It’s also a place for me to share the music that comes out of this. It’s also not going to be a “perfect” place. Sometimes I am philosophical, or even positive, about the RA and all the changes in my life. Other time, I am angry, rebellious, sad, self-pitying. Sometimes I’m irreverent, politically incorrect, or crass. All of that will probably show up here, because I want this blog to be real. I find that sometimes I’m helped by reading blogs where other people are being brave and creative in dealing with their illness, but other times I am comforted by seeing that other people go through the same anger and pain that I do. I don’t know yet what the balance will be on this blog – it depends on what happens to me, and how I feel about it at the time. Life is messy; art is messy.